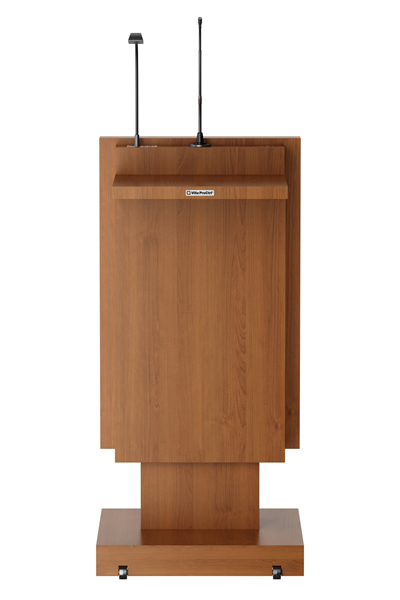 At the touch of a button up and down. 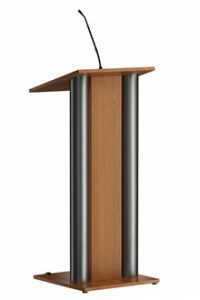 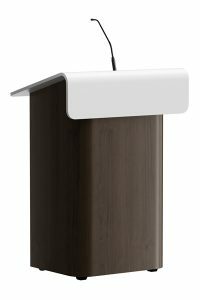 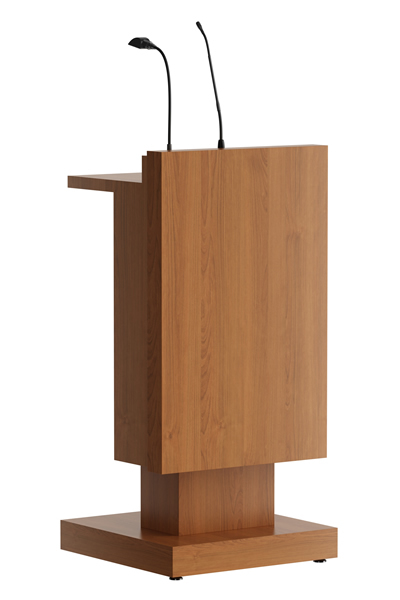 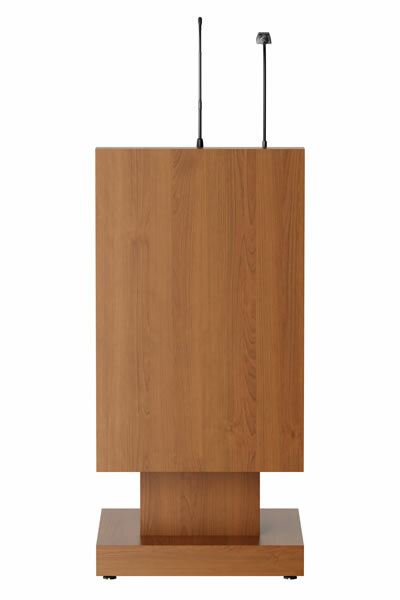 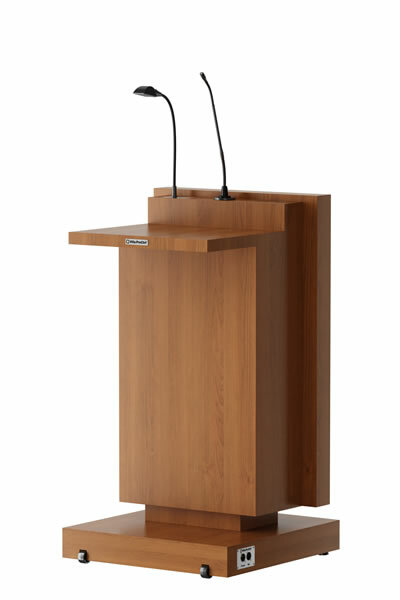 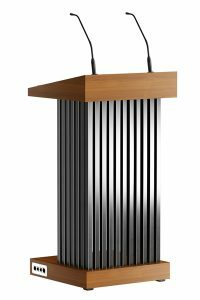 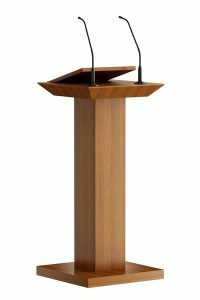 Contemporary electrical height adjustable lectern. 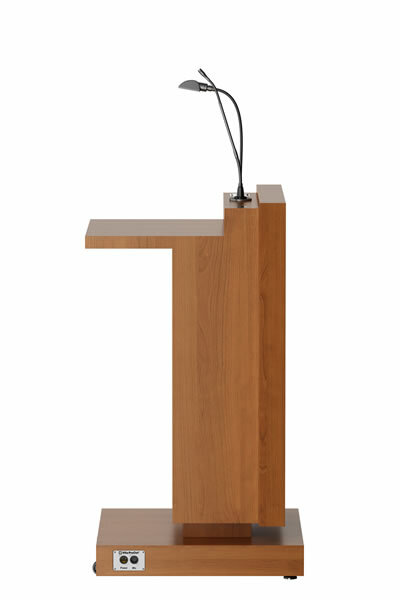 Shock mount for the microphone and on the left the reading light with switch.